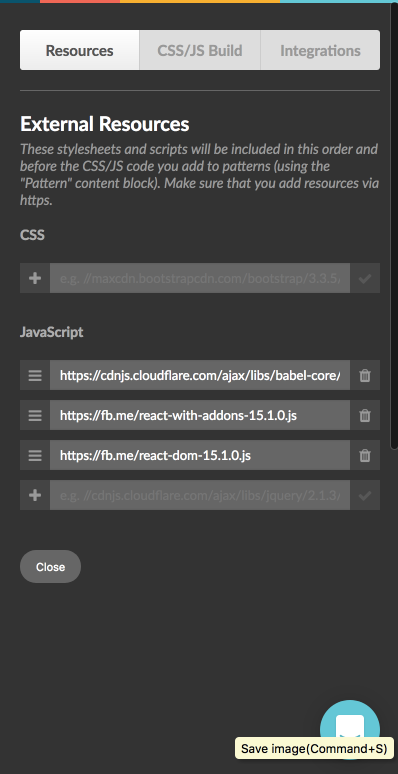 How to setup external resources in Frontify. 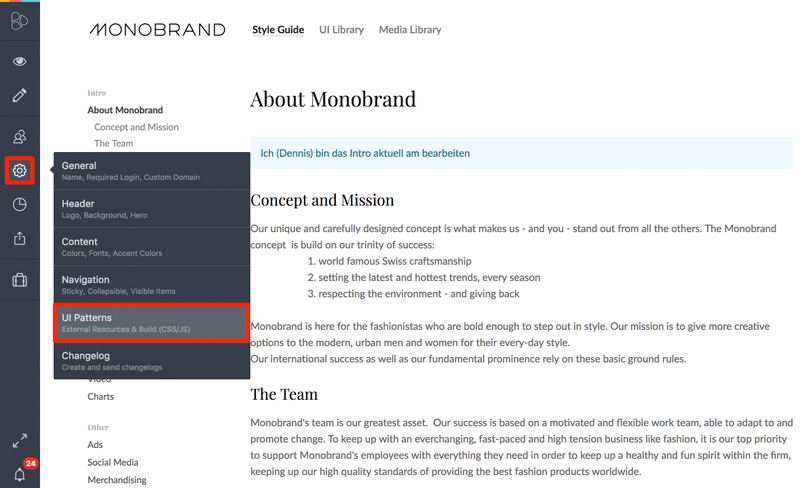 Your CSS at an external resource and you want to use it for your Frontify work. Please open the settings and navigate to UI Patterns. Please be aware that the path must be an HTTPS source. Enable Less or Sass pre-compilation for your pattern CSS to use variables, mixins & more. 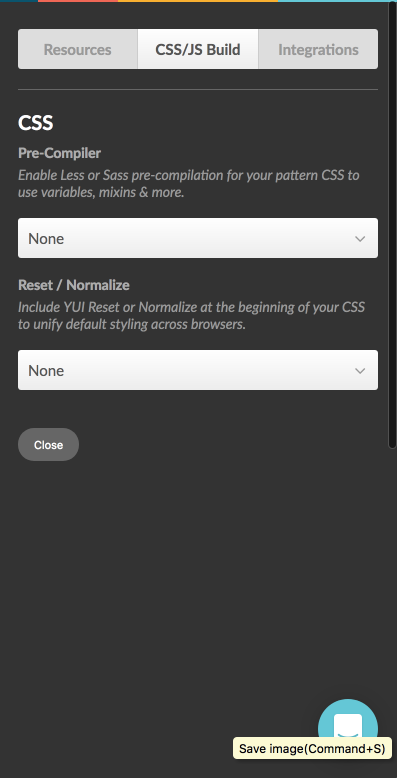 And or Include YUI Reset or Normalize at the beginning of your CSS to unify default styling across browsers.